With the sleek slim design of your flat-screen TV, there's little room left for speakers. That's why dialogue can be hard to hear clearly from one scene to the next. The Bose® Solo 5 TV sound system is an easy solution to the problem. 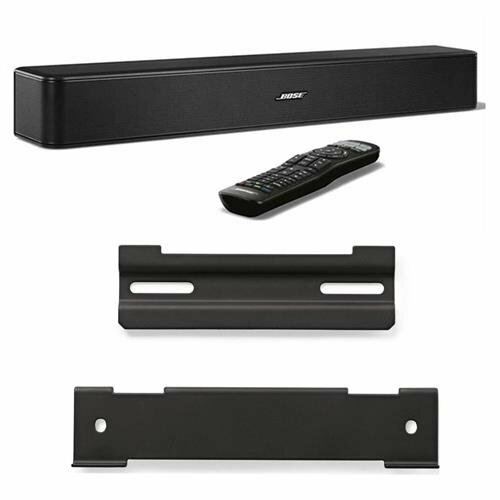 This one-piece soundbar brings noticeably better sound to all your favorite TV programs. Advanced Bose technologies make every word and more details easier to hear. And when you want even more clarity, select its dialogue mode to make every word easier to understand without having to adjust the volume from scene to scene. One-piece soundbar ; Hear every word clearly. Bluetooth® connectivity lets you stream music wirelessly.